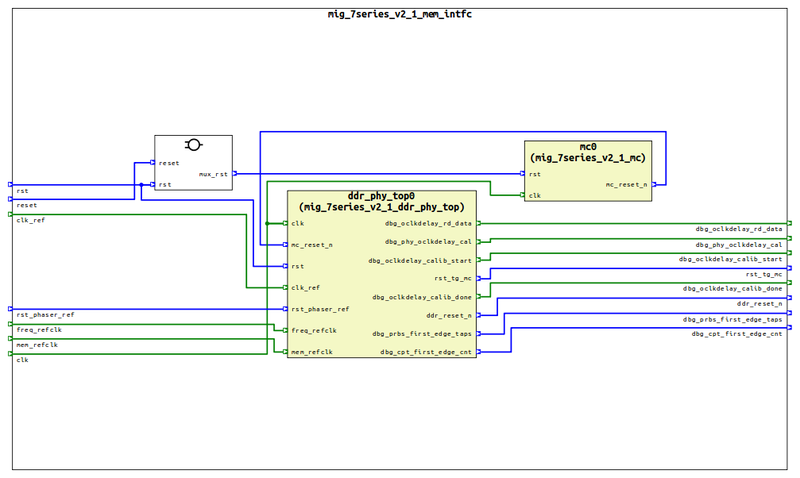 NOTE: Filters only apply to Schematic and Flow diagrams. You can customize the diagram using the Filters button in the diagram editor toolbar. Use the drop-down menu at the top of the dialog to select from available filters. Use the buttons in the top-right corner of the dialog to create, duplicate, or delete the current filter. Use the checkboxes at the bottom of the dialog to further clean up the diagram. color_name_or_code is a color specified by name, 6- or 3-digit hexadecimal code, or comma-separated decimal RGB code. This is relevant only for color rules. TIP: You can use content assist to write the filters ( CTRL + Space). 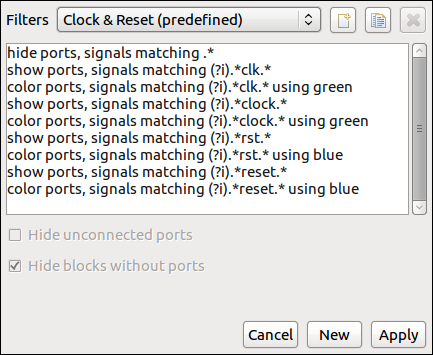 TIP: You can hide the hierarchy under an instance with the filter "hide blocks matching path/to/instance/. *".